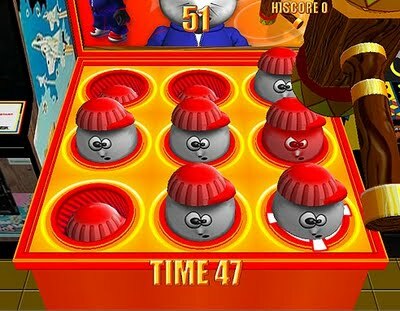 Have you ever played Whack-A-Mole, the classic arcade game? You’ve got a padded hammer, and when a mole pops up, you whack it back down. The object of the game is to nail as many moles as you can before they duck back into the hole. The moles don’t stay up for very long. As the game continues, two moles pop up simultaneously, then perhaps three, and eventually on opposite sides of the grid. In the end game, it gets crazy, because time is running out fast. And how about that other player—obviously not as good a corporate citizen as you. While you’re trying to whack as many moles as you can, you observe the peer next to you, who is being very selective, perhaps only focusing on one or two moles. You don’t have to whack every mole. It’s not possible, and you really shouldn’t try. So don’t. You’re probably going to have a dramatic turn of events everyday; the negative ones are the most memorable. You’re going to miss some moles. But the sky isn’t falling, and you have a sacred responsibility to be a healthy role-model to those you lead. Having a strategic focus is critical. People either get that or they don’t. Be one of those who get it. I always scored higher on Whack-A-Mole when I gave the moles a name. It just so happened that the names were of people I worked with that I did not like. Funny how that works? Great post! We too often overwhelm ourselves, especially as leaders. Learning to let go is as important learning to grab hold. Susan Scott explores this concept in her book, Fierce Conversations. Great post. Having the discipline to keep a “what not to do list” can be a huge enabler to drive focus and prioritization. Pick the big things and deliberately say “no” to as many small ones as possible. Thanks for sharing. Great post on how to think about and prioritize in the land of constantly changing revenues! The problem with whack-a-mole is that urgency starts to take the place of importance. Lovely article! You made me smile at the beginning and then you got me thinking! I am a perfectionist so I suffer every time when I can’t finish a task in time or when I can’t do everything on my agenda. But I guess you are right when you say that no one can do everything, because is not possible. After all Rome wasn’t built in a day either.